As of March 4, 2014, Eddie is free! Marhsall Eddie Conway is a former Black Panther Party leader framed for the murder of a Baltimore police officer and the shooting of two other officers. He is currently serving a life a sentence, continues to assert his innocence and his fighting for parole. To learn more about Eddie and how you can join in the effort to free him visit www.freeeddieconway.org. “Eddie” Conway was born and raised in Baltimore. As a young man he joined the Army. In 1966, while stationed in Germany he saw a play on Malcolm X, which lead to him reading his autobiography. Disilusioned with the Army, Conway returned to Baltimore in 1967 with an Honorable Discharge. He joined the Congress of Racial Equality (CORE). He was instrumental in integrating the Sparrows Point Fire Department, where he was one of the first black firefighters amidst a department notorious for its racism. Working in such a hostile workplace and his experience with organizing lead Eddie to step up his work for black liberation by joining the Baltimore Chapter of the Black Panther Party in April of 1969. Eddie worked with other BPP members to address the rampant police brutality going on in Baltimore. During that time the FBI infiltrated the Baltimore chapter and started regularly monitoring Eddie. One year later, on April 24, 1970, two police officers were shot in West Baltimore by three men walking by their police car. One, Officer Sager, died. A few blocks away from the shooting, another policeman, Officer Nolan, reported chasing and exchanging shots with someone who eluded him. Two days later, police came to the Main Post Office, where Eddie Conway worked, and arrested him. They later charged him with murder and attempted murder. At the time, the only evidence against Conway was an identification given by Nolan, who stated that he saw someone running into an alley- at night – and exchanged shots with that person. The prosecution built its frame-up against Baltimore Panther leader Eddie Conway in several ways. Jack Johnson, closely tied to the shooting by evidence, was to receive immunity from prosecution in return for implicating Conway in the crime. When Johnson took the witness stand, he pleaded the fifth amendment. photos with Eddie Conway’s picture – the only one common to both sets. The most disputed piece of evidence was the testimony of a prisoner who was placed in Conway’s cell for four days. This man, Charles Reynolds, on his way to prison in Michigan, claimed that Conway confessed to him, a confession providing the only incriminating testimony other than that of the police officer. Reynolds then asked for a favorable recommendation to the Michgian Parole Board in exchange for his testimony. 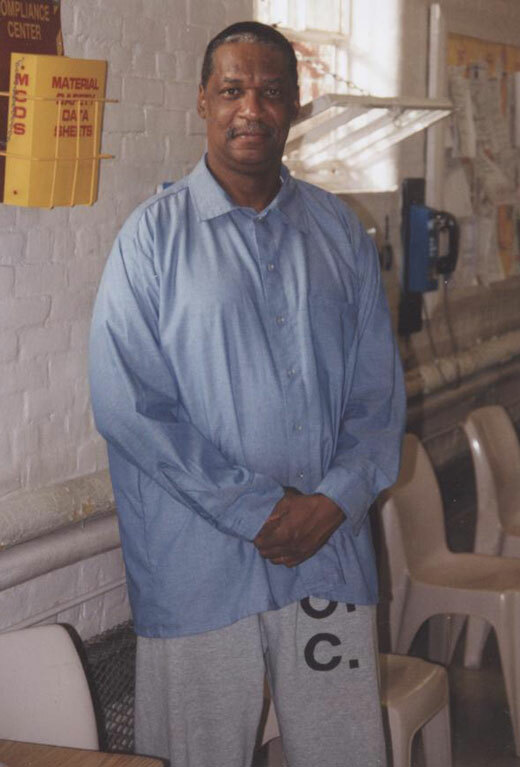 Without adequate legal defense, Marshall Eddie Conway was railroaded into prison. He was sentenced to life imprisonment plus 30 years. Some 21 Panthers, former members, and close community activists were either arrested or were fugitives at the time of Eddie Conway’s arrest.